Superdry women’s Street Sport high neck bodysuit. Part of the core range, this high neck bodysuit is made with moisture wicking technology and stretch technology to help keep you cool and comfortable as you work out. 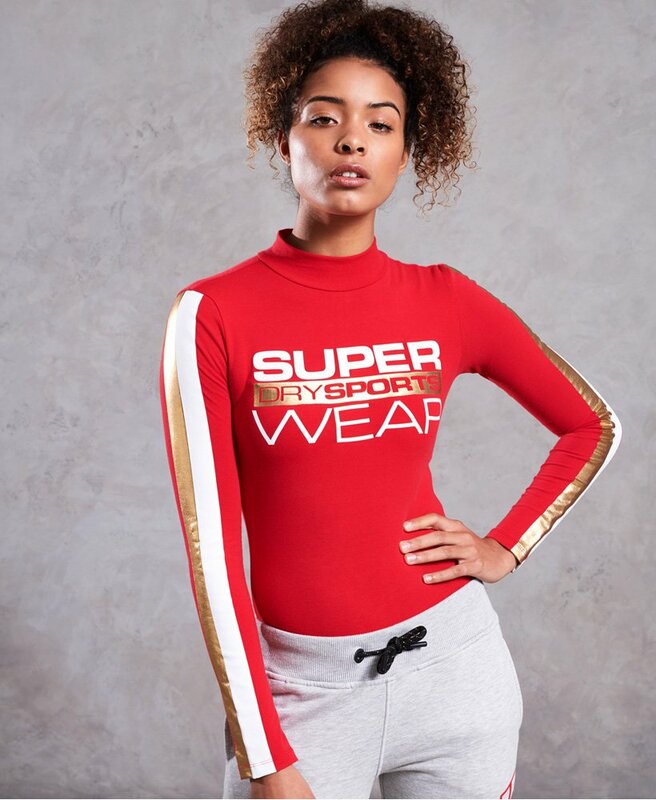 The Street Sport high neck bodysuit also features stripe detailing down the sleeves, a Superdry Sportswear logo across the front and a popper fastening. Wear with joggers and trainers for that on-trend sporty look.